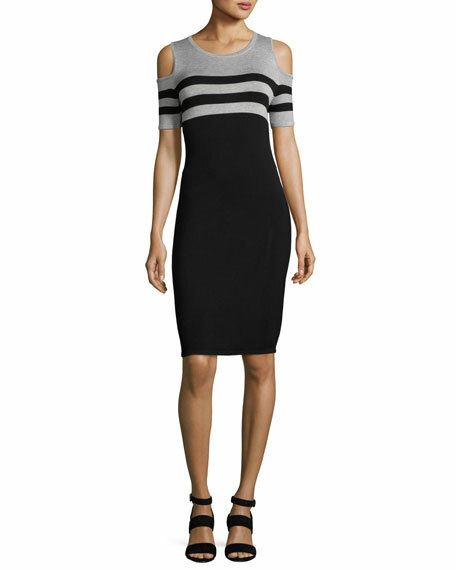 Carmen by Carmen Marc Valvo striped knit day dress. 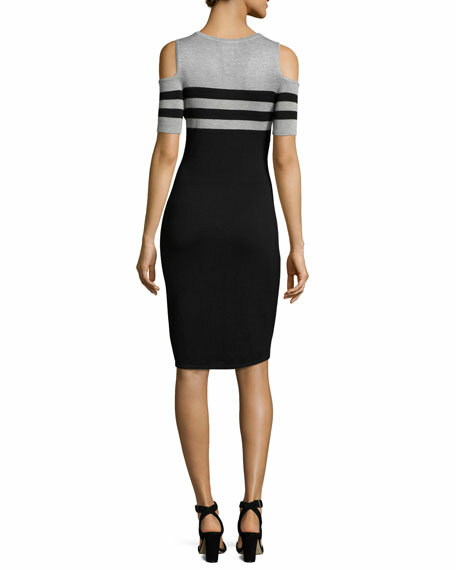 Short sleeves with cold-shoulder cutouts. For in-store inquiries, use sku #2183726.